Charles Darwin continues to be one of the most influential people on humanity. Much of his work was controversial, and still is, but the “survival of the fittest” rings half-true He once said, “Natural selection conceived of as a struggle for life in which only those organisms best adapted to existing conditions are able to survive and reproduce”. The key words here are “best adapted to existing conditions”. As I said, Darwin only had it half true. Survival yes, but who wants to just “survive”. Isn’t it about something more than that? When are conditions ever the same in today’s world? And is it right to have the same conditions? 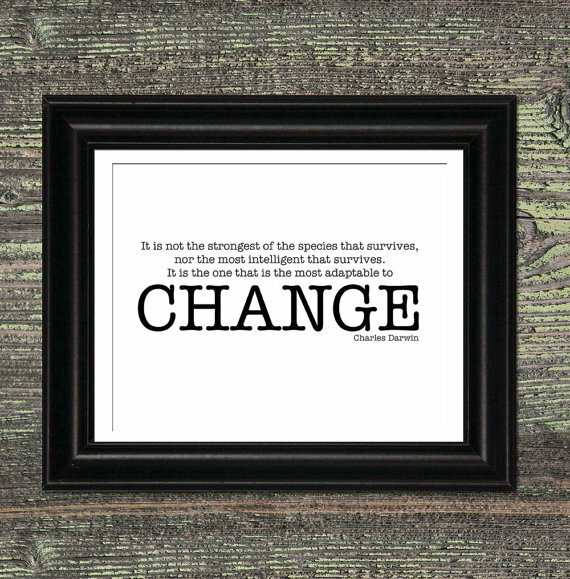 There’s only one thing constant today: change. You either sink, swim or sail. People like Jennifer who adapt or create new conditions not only survive, but they thrive. They don’t sink or swim…they set sail leveraging an internal compass that drives them, and others, to new places. Are you sinking, swimming or sailing? Survival is for chumps. Thrive!